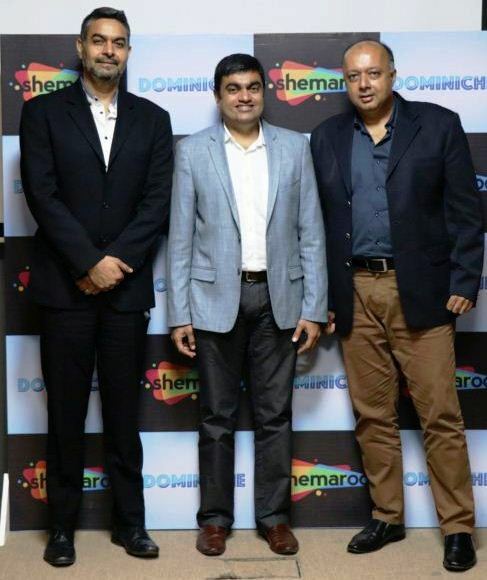 Shemaroo Entertainment Limited, one of India’s leading content power houses, has made a strategic investment by acquiring 50% stake in Dominiche Productions. With this collaboration, Shemaroo will mark its entry in the Astrology market. Dominiche, which started with a clear vision to build on scalable genres of the future, a leader in the Astrology space and will now strengthen its portfolio by collaborating with Shemaroo. India’s astrology market is growing rapidly and the strategic alliance enables the market leaders to build the Astrology segment further and tap into the potential growth of the rising sector. The content will be distributed across various platforms of Shemaroo along with the recently launched OTT app Shemaroo Me. Apart from Bollywood, Shemaroo Entertainment is one of the leaders in the devotional and regional content space for several years. Dominiche, on the other hand, offers a plethora of unique and compelling astrology content and services that has the capability to drive massive viewership in India. With this partnership, consumers can access captivating content and services like Astrovani, Jyotish Duniya, Astro Face 2 Face and more on Shemaroo’s traditional and digital platforms. Over 270 experts demonstrating astrology sciences and more than 400 hours of programming content covering predictions, numerology, tarot card reading, vastu shastra, palmistry and face reading, the partnership promises to take the Astro infotainment sector to greater heights. The association not only reflects the vision to cater to the growing demand for astrology content but also offer varied range of scalable categories. Shemaroo-Dominche together aim at presenting and fostering many more unexplored sectors that has immense potential. ShemarooMe OTT app can be downloaded from Google Play, iOS App store and http://shemaroome.com/.